At 12:08 hours of Thursday 30th of April, Victoriano Medina was released early from a 27 year sentence in CEFERESO "El Hongo", for the killing of Journalist Hector Felix Miranda, Co-director and founder of Zeta Magazine. 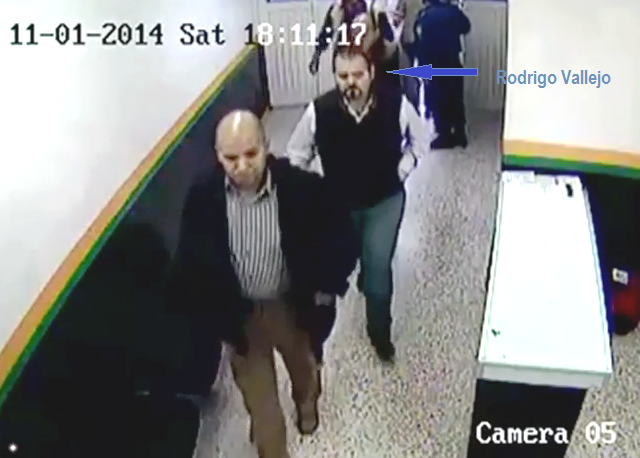 Medina who left prison dressed in prison uniform, affirms to be innocent of the crime committed against "El Gato", in which he always had the support of his boss Jorge Hank Rohn. Jose Reyes Ferriz ex Mayor of Juarez discusses the history of drug violence in Juarez from the 1950,s to 2010. Video shot at Texas University in English. 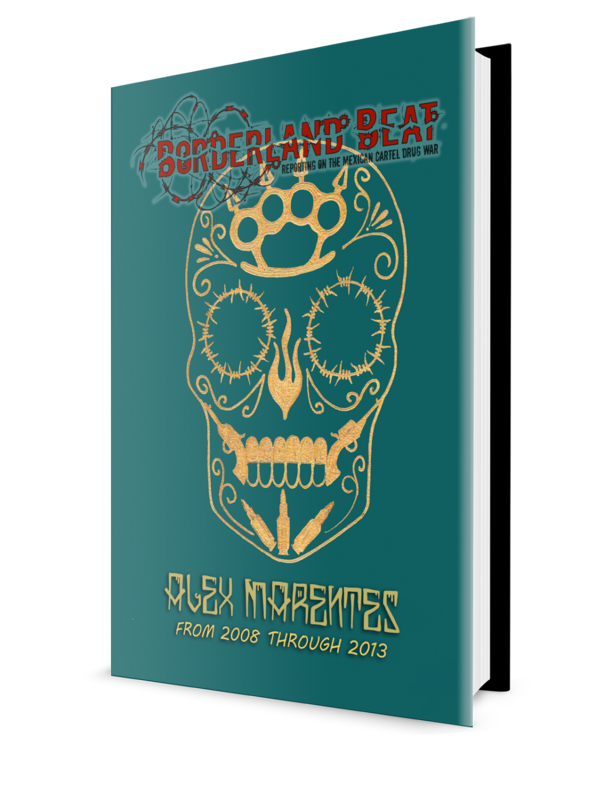 Otis: this was originally reported by Buggs in 2010 see link, but I considered it well worth a repost, for newcomers and seasoned veterans of the narco war in Mexico, the history of Juarez is fascinating as told by Mayor Ferriz. Rodrigo "El Gerber" Vallejo loses injunction, but remains free because "it's not a serious crime"
A federal court denied an injunction to Rodrigo Vallejo Mora and confirmed the detention order issued against him for the crime of concealment. 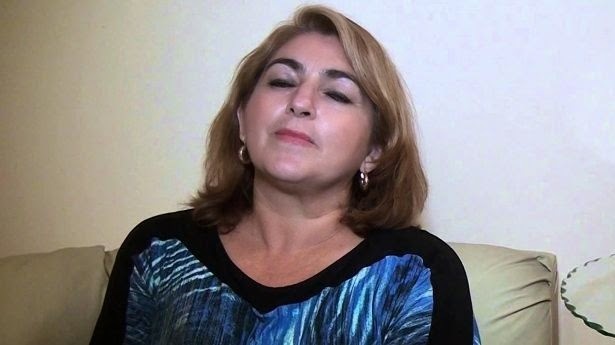 Judge Herlinda Velasco Villavicencio of The Fifth Tribunal Unitary Criminal court of DF considered that there are sufficient grounds to continue the process against Vallejo for allegedly concealment with respect to Servando Gómez alias “La Tuta", the leader of Caballeros Templarios. The judicial authority, (court) ruled that the pictures taken from the videos and transcripts of the audible parts, are sufficient to establish Vallejo’s meetings with the criminal leader. On August 1, 2014, Vallejo was retained after he attended a meeting with SEIDO to give his declaration. Vallejo was retained by the ministerial authority because he refused to give information about the locations where he met with "La Tuta". 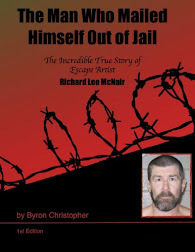 Days later he was imprisoned in the state prison of Santiaguito, in the State of Mexico, where he was imprisoned until April 11th, when the Eighth Collegiate Criminal Court of the Federal District ordered bail because the crime of concealment is not serious crime. PGR has yet to announce any additional charges of “serious” crimes, such as organized crime conspiracy. 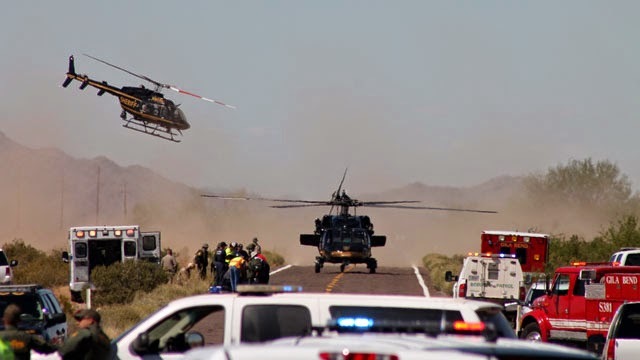 The search continued for several suspects who shot and killed two men and wounded two others in a gun battle six miles east of Gila Bend. 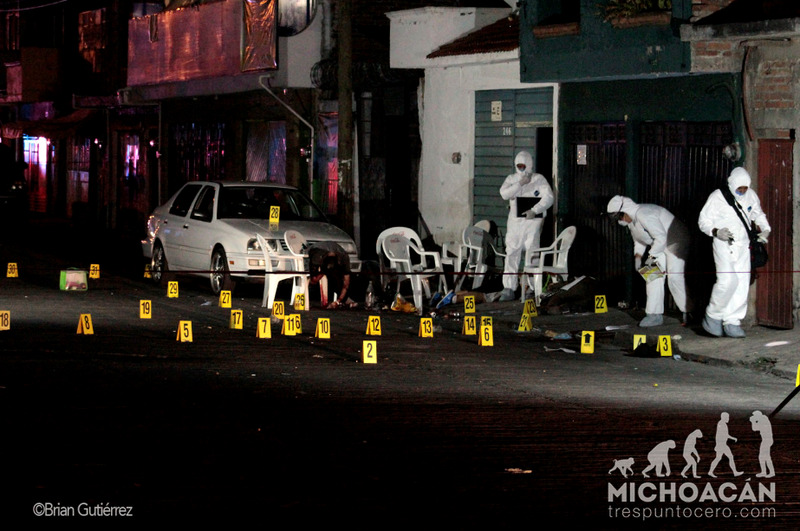 The shootings occurred a high-traffic corridor known for human and drug smuggling. The bodies of the two men were found by Maricopa County sheriff's investigators in a cave about six miles east of Gila Bend Monday afternoon. Two other men who were seriously hurt were airlifted to the West Valley Hospital in Goodyear. “We're hoping one will be able to talk and give us more information,” Maricopa County Sheriff Joe Arpaio said at a news conference Tuesday afternoon. The names and ages of the dead and wounded were not released. Semi-automatic weapons and other evidence found in the cave were seized. Cancun,Quintana Roo: The alleged Jefe de Plaza in this area, David Alejandro Mota Guiillen alias Paulo Alejandro Eguia Guillen alias "El Mota" or "El Pinky", was detained this afternoon together with two of his accomplices while having a drink in a sports complex a few metres for the headquarters of the PGJE. The Prosecutor Gaspar Armado Garcia Torres indicated that "El Mota", 39 years of age and originally from Matamoros, Tamaulipas is the successor of Juan Daniel Velasquez Caballero, "El Talibancillo", apprehended this past Monday the 6th. "After the capture of Talibancillo, he took charge of the Plaza for the Cartel del Golfo. He is Jefe of the whole state, and he was in charge of everything, said the Prosecutor in a press conference. 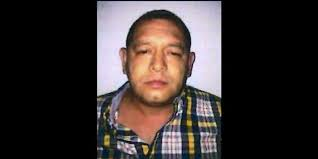 Garcia Torres stressed that "El Mota" arrived in Quintana Roo in 2010 and three years later he had become a lieutenant of "El Talibancillo" or "Z-52" or "Gordo Sam" alias "El Apa" in the Cartel del Golfo, together with Hector Cacique Fernandez, also imprisoned. 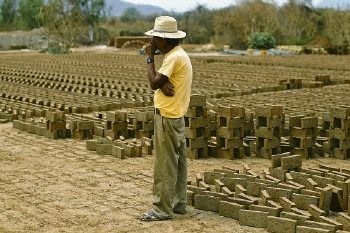 Michoacán: How does one identify who the good guys are? Dr. Mireles’ son, sister and friend make a run for a seat in the chamber of deputies (legislature). They have made Dr. Mireles a focal point of their campaign. "at the end of the day, what all this amounts to, is Alfredo Castillo and his evil empire were victorious." Readers, from atop my soapbox: The situation in Michoacán is confusing and fluid. Good people turning on each other and each day seemingly brings new divisions. Jorge Vázquez, autodefensa leader and spokesman, is in a personal war with Padre Goyo. Goyo was kicked out of the CCRISTOS… a group he founded. Talia Vasquez and Pricila Abud (Grillonautas) is warring with Dr Mireles' former wife Ana Valencia, each side accusing the other side of being evil, liars and of betraying Dr. Mireles. I think both sides are correct. Dr. Mireles son was not speaking to him before his arrest. it is unclear just how often he visits his father, if at all, “I am busy with school, when I graduate I will be better able to". Only his youngest daughter was in fact speaking to him through it all. Dr. Mireles felt he could trust his youngest daughter would always be there to support him. So how are we to evaluate all this support now? Sincere? Carpetbagging? Has Lito Mora been a true friend? He who publicly stated, “Dr Mireles’ group should not have "carried guns” yet, now is a part of a group protesting for Dr. Mireles even going on a hunger strike? That’s a friend? A question for Mora; “how’d that work for you compa?” Still in love with Castillo and that “agreement?” Did it take your son being killed, before you saw the light? After the murder of his son and his release from prison for the second time, he began supporting Mireles. And finally speaking the truth, “Castillo gave me the words to say when I was released, he handed me a paper”, and he says Castillo told him to speak badly about Mireles, and to say Mireles was mentally ill.
As for Castillo, he refuses to let go of his hatred towards Dr. Mireles, telling the press; “Mireles is a dangerous man; he wanted to gain control of Mexico, and all Latin America". It is clear who is truly suffering from mental illness and it is not Dr. Mireles. Ana Valencia, (left photo)who Dr. Mireles made it clear she neither speaks for him nor is a part of his life. She has called him every foul name imaginable, and said Dr Mireles is nothing but a poor man who has never had anything, but even if he has 100 pesos, she wanted them. We do know that Virginia Mireles is close to her brother and one of his staunchest advocates. But many of the others appear to be opportunists. An example is Pricila, after calling Dr. Mireles shameful for trying to cut a deal for his release, she received a nondescript simplistic letter from Mireles, after many months of not hearing from him, and she quickly makes a video featuring the letter. A letter with no real news, just a friendly outreach. 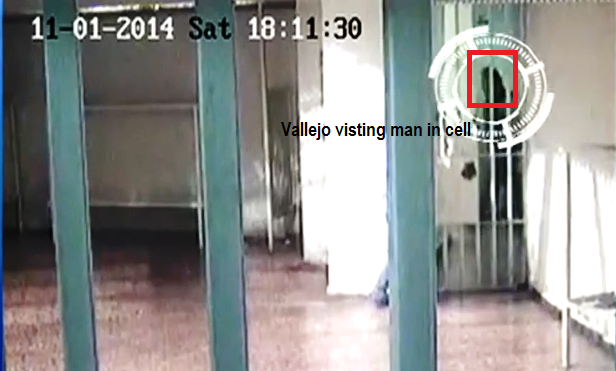 One of the videos has footage of Vallejo, the son of the .former Governor from Michoacán, Fausto Vallejo Mora, skipping protocol while strolling into the Public security secretary (SSP) detainment section. He shows no ID, is not stopped, and does not sign in as he walks to a cell to visit a man wearing a black jacket. 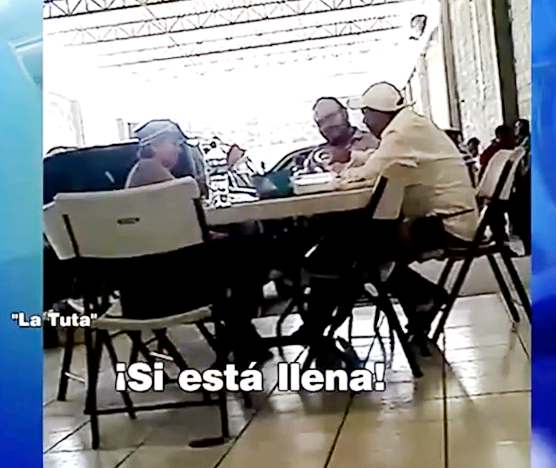 The second video shows yet another TutaVision meeting between Vallejo and La Tuta, where decisions and political issues are discussed that would affect the future of Michoacan. In the video, there is discussion of Ascension “Chon” Orihuela Barcenas, now a candidate for the governorship of Michoacán. Vallejo expresses his detestation against Chon, and is concerned about the possibility that when his father would leave the governor’s position and Chon would fill the position. At the time of the video the governor was very ill and in need of a liver transplant. Vallejo blamed Chon as being the person responsible, “for making all this mess”. The video begins with Vallejo asking for a little more (whisky?) in his glass, Tuta responds by saying the glass is full. Vallejo starts speaking about Chon, asking Tuta who is behind the decisions about Chon. 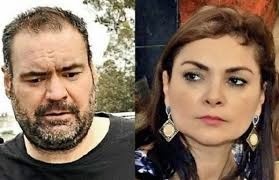 When the infamous Iguala Mayor and his wife were arrested, a little detail of fact escaped most people outside of Mexico, we at BB did make mention that the case against Maria de los Angeles Pineda, wife of the former mayor, Jose Luis Abarca, was going to be a tough nut to crack. The fact is, she was never charged in the normalistas case. 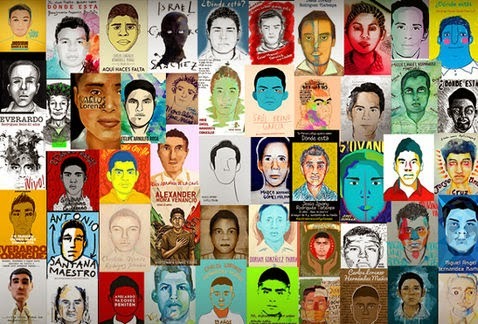 The genesis of the case began on a night when hell showered Iguala, Guerrero with violence, murder and terror that left in the balance, over 50 people who were killed or presumed killed, by municipal police allegedly per orders by the mayor. 42 of those presumed dead have not been accounted for and are known as “The 43”. “The normalistas”, were students earning their teaching certificate to be able to teach elementary education in rural areas of Mexico. The remains of only 1 of the 43 who were taken that night was positively identified though DNA studies. In the case of Pineda, prosecutors were never able to tie her to the normalistas case; they could not find enough evidence to successfully prosecute her. On November 4th she was arrested and held for 60 days on a preventative detention including an extension of 20 days. During the 60 days the PGR Attorney General failed twice trying to charge Pineda in the normalistas case. The court rejected the case due to insufficient evidence.She was never charged. In a peculiar move, on the third attempt she was indicted on a charge not related to the normalistas case, it was for money laundering and charges of organized crime involvement. She is accused of the laundering of at least 13 million pesos for the Beltrán Leyva brothers and the Guerreros Unidos cartels. 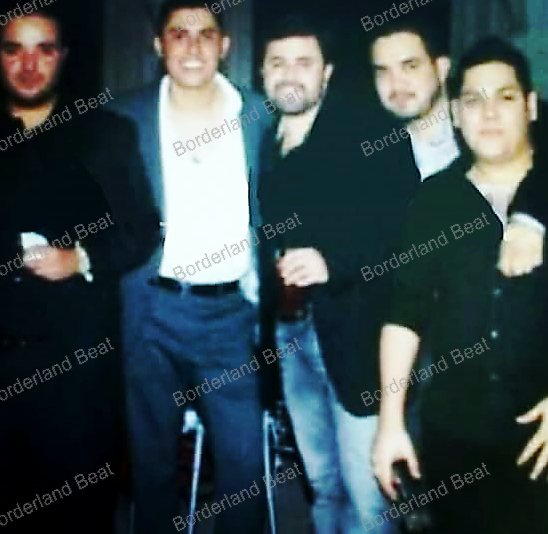 Mexico’s narco turned protected witness, BLO’s Sergio Villarreal Barragán, known as “El Grande”, (code name "Jennifer”) did give information on the Pineda brothers and of Pineda herself. He establishes she was involved not only with the money laundering and but investments from drug money, including purchasing several properties in Tres Palos, Acapulco. Villarreal eluded to the fact she may have had a fling with Capo Arturo Beltran. Pineda, says Villarreal, attended BLO parties in Cuernavaca with her brothers, and that Abarca was never with her. But the peculiarity in the case came in, when she was denied her right to present a defense. On its face, the action was so imprudent that it almost seems that it must have been intentional. Gun battles, persecutions, blockades and executions, is what people live with in Reynosa, Altamira, Tampico and Madero with reprisals of criminal groups after the capture of their leaders. In Michoacan society is indignant, the official mounting death toll of protesters manifesting in Apatzingan, worry about the ingress of new criminal groups in the region. Chihuahua follows restructuring in the Carrillo Fuentes Organization after the detention of "El Chuyin". 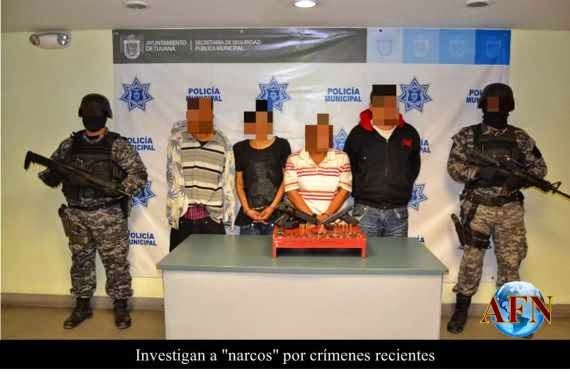 Combat amongst the old narco trafficking cartels and lack of action against the new criminal groups on the part of the Authorities, with major bloodshed during the last week in different states of the country. The blows delivered to the Juarez and Gulf Cartels, as well as abuses of power and the lawlessness that exists in the state of Michoacan, kept the inhabitants of Chihuahua and Sinaloa and Tamaulipas and the Purepecha region on tenterhooks, as well as the concern felt by the United States Government who emit constant travel alerts. 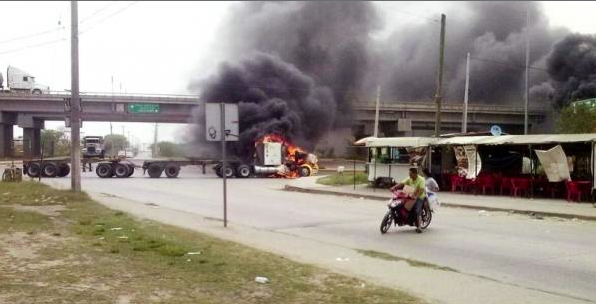 The violence in areas where the Government of the Republic have not previously controlled, started on Friday the 17th of April in the border area of Tamaulipas and Texas, the gun battles, dead bodies, and blockades increases with each passing day. On March 20, BB reported on a ambush of federal police in the town of Ocotlan, Jalisco. Eleven people (originally reported 10) died in that shootout, including 5 police officers, 3 cartel members and that story said 2 innocent bystanders were killed. It turns out there were 3 bystanders killed, but the story didn't have any detail about their deaths. This article tells their story. Ocotlan (Mexico) (AFP) - The mechanic was working under a car when he turned his head and saw a dozen pick-up trucks creeping down the street in Mexico's western state of Jalisco. "The devil is on the loose," Jorge Gerardo Herrera said ominously to his colleagues as he turned back to the car he was fixing in the town of Ocotlan. Suddenly, a gunfight erupted and a stray bullet landed in the mechanic's heart, turning him into the latest innocent and forgotten victim of Mexico's cruel drug violence. 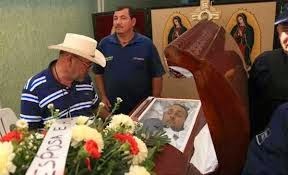 His death was recounted by the garage's owner, Felipe de Jesus Ramirez, who was there when members of the powerful Jalisco New Generation drug cartel ambushed a federal gendarmerie convoy on March 19. 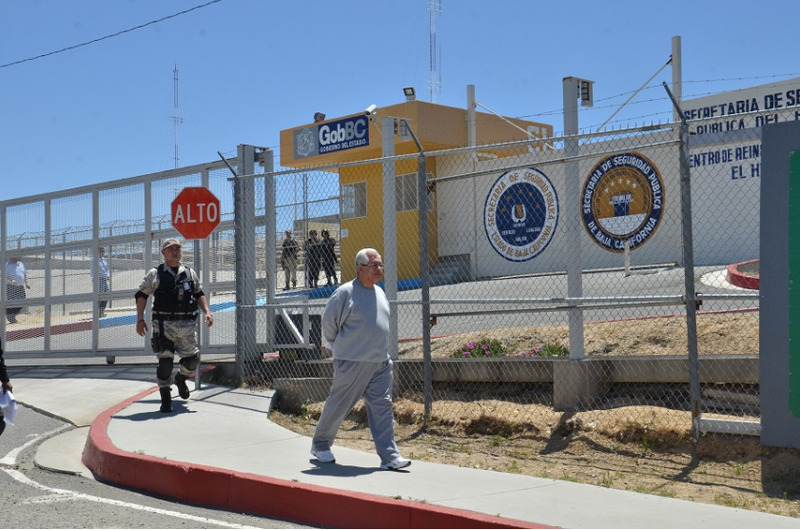 Authorities with a strategic safety task force in Tijuana, were conducting patrols and survelliance of side streets in colonias, and arrested four men, belonging to a cell under the command of Aquiles, Alfredo Azarte Arteaga. 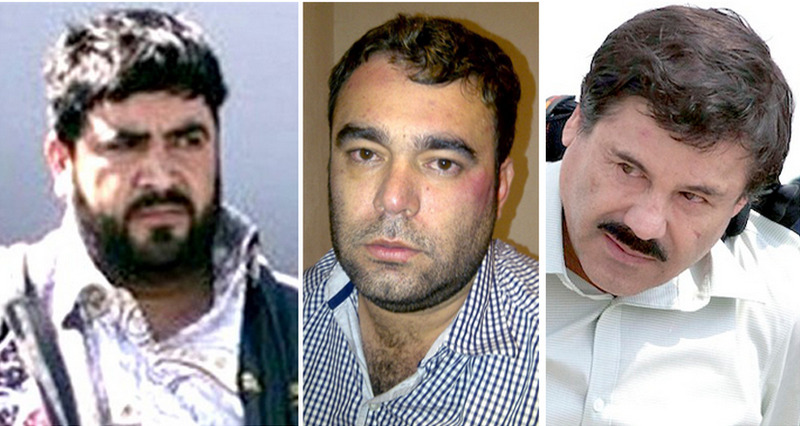 Aquiles is considered the most prominent trafficker in Tijuana, under Ismael Zamabda. Rumors abound, as always, that he and his brother Rene Azarte Garcia, 'La Rana', have 'switched' from Zambada, and are currently operating independently. La Rana and Aquiles are said to be fighting for control of Zona Norte, allegedly responsible for the murder of Luis Manuel Toscano, 'El Mono', gunned down at a taco stand in La Mesa, earlier this month. The task force observed four men fighting in the street, amongst each other. After their arrest they explained they were fighting over drug sales and their drug operation, and also admitted to several murders, recently. They were arrested in possession of weapons in various calibers, and drugs, in quantities and packaging that indicated they were being sold at a retail level. 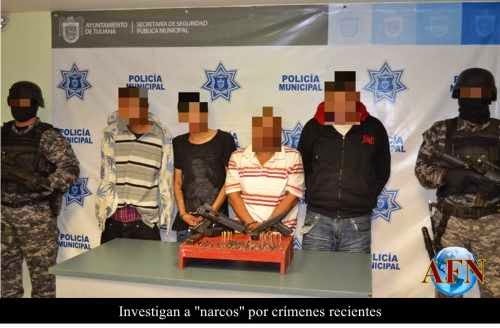 Arrested were, Gilberto Garcia Hernandez, 42, 'El Clown', Carlos Alberto Espino Servin, 33 'El Chiuqlin', Duarte Juan Carlos Verdugo, 20 'The Assassain', Jose Luis Castillo, 'El Pepe' age 23. These men will be detained for awhile, or maybe post bail immediately, and be back on the street. What I find more interesting, is the backgrounds on each of these men. Like a 20 year old, nicknamed 'The Assassin'. Do they have families? Many do. How do they spend their time? These are the faces of the violence and crime at a street level. As you move up the ladder, the clothes are designer, the shoes expensive, the local more exotic. That will never happen for most of these faces, that cycle in and out of the news stories. These are the fourth tier positions, the bottom/entry level. You want in? Move some crystal. Settle some scores. Control some tientidas. You get paid in product, you probably use the product. Spend most days and night involved in the politics of the retail drug trade, which fuels the violence in the city. Life is as cheap as the crystal you smoke. José Rodrigo Aréchiga Gamboa aka Chino Antrax’ was scheduled for a court appearance last Friday, however that hearing was postponed, until May 22nd. The extension was requested by his attorney, Frank Ragen, who stated the mountain of evidence in the case against his client had not been fully processed. He was granted additional time to review the data and be prepared for the status hearing. Aréchiga last speared before Judge Dana M. Sabraw in November 21, 2014, when the defense asserted that the evidence was an extraordinary amount to assess and his office would need ample time to peruse the reports. He was granted 5 months at that time, on Friday that was extended to May. As for Serafin Zambada,(above) the son of Ismael El Mayo Zambada, he plead guilty last September and is scheduled to be sentenced on August 22nd. Serafin Zamabda is a United States citizen. 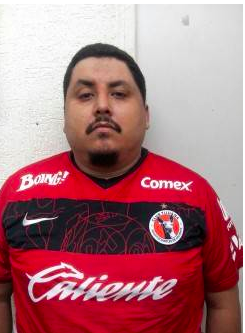 Hugo César Román Chavarría, a Zetas operator was arrested in Culiacán. Some publications are referring to this as a "Zetas leader" being captured, and that he "controls both the state of Coahuila and Nuevo Leon". More accurately stated, is he is an independent operator, who works in collaboration with Los Zetas and operates in Nuevo Leon. According to the newsletter issued by the naval command, the arrest of Román Chavarria took place when elements of the Navy of Mexico conducted a ground patrol near the city of Culiacan, Sinaloa. 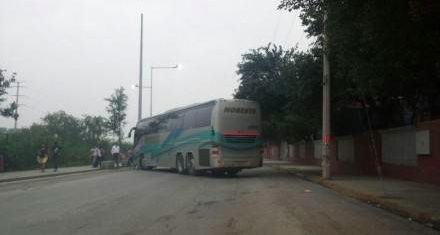 They inspected the vehicle he was traveling in, he was accompanied by three other people who were identified as being; Erick Mauricio Rodríguez Mena, Rita Aidé Imperial Trevino and Veronica Jasmine Reyes Rivero. In the vehicle soldiers found a handgun, a magazine for the firearm and seven rounds of ammunition, as well as about 1.4 kilograms of suspected drug known as meth. As the result of investigations conducted to date by staff of the Attorney General's Office (PGR), it was determined that Hugo Cesar Román Chavarria served as independent operator and maintained a close relationship with Daniel Menera Sierra , who was secured in March by Federal Forces in the municipality of San Pedro Garza Garcia, Nuevo Leon. At a press conference, authorities explained it was during the monitoring of Omar Treviño alias Z42, that led to the arrest Menera Sierra and 3 others. Menera Sierra was considered regional head for Los Zetas and operated out Piedras Coahuila. Full Video Translation: Apatzingan Massacre: "It was the Federales." 00:15 Screen: Apatzingán Massacre: “It was the Federal Police. 00:44 R: At dawn on January 6, federal police fired on members of the Rural Police in Michoacán and their supporters who, unarmed, were conducting a sit-in demonstration at the Apatzingán municipal palace. 00:56 In the ensuing moments, members of self-defense forces and day laborers were murdered by gunfire and their bodies were left strewn on that city’s streets. 01:05 The preliminary toll is 16 persons dead and tens wounded. 01:10 Everything indicates that what happened in Apatzingán was a crime against humanity. 01:15 R: …and that Federal Police arrested 44 persons on charges of criminal association and possession of illegal firearms, and that the persons killed in the second attack were hit by “friendly fire” between civilians. 01:40 Screen: Alfredo Castillo, Commissioner of Security in Michoacán. 01:40: Castillo: Practically all the persons killed could have been killed by their own comrades, that is, a matter of cross fire. 01:50 But there are statements that demolish this version of the facts. Victims and witnesses say that it was the Federal Police that executed unarmed civilians. 02:00 That none of the demonstrators had long weapons (rifles). 02:03 Also, the medical staff at the Ramon Ponce General Hospital asserted that the persons they treated had been shot at close range, with (powder) marks that point to an execution. 02:20 Screen: The facts presented in this investigation were reconstructed from the testimony of 12 of the 44 persons arrested and subsequently released after the first gunfire attack (among them a businessman). According to preliminary Police investigations, an armed group arrived and attacked a group of people celebrating at a house at 246 Calle Sauce, with large calibre firearms. Until now the area is cordoned off while waiting for the Forensic Medical Services to remove the corpses. The victims killed were one senior citizen and three young people. "What you did is not to be applauded, if you want a real meet, you can have it, but you have to leave your cave", said the mantas that were collocated at visible points of Lerdo de Tejada and Boca del Rio. The warning of Los Zetas against elements of the Secretary of Public Security, the Civil Forces and Police Delegate in the region, Paulino Cortes, occurs a day after he concluded the first meeting of attorneys and prosecutors from the South, South-East zone of the country, for acts of protocol where state and federal forces shielded various Municipalities in the region. The criminal organisation of Los Zetas had a Municipal Functionary of Coahuila as one of their best sources of night vision goggles, magazines for assault rifles, scopes and ammunition. Oliver Bres Carranza, who was Boss of special programmes, Directorate of Planning, Zoning and Public Works of the Municipality of Piedras Negras is currently serving a prison sentence in Texas for smuggling weapons to the criminal group. An investigation by the Department of Internal Security, and Immigrations and Customs Enforcement (ICE), of the United States located Bres as an intermediary of Celso Martinez Perez "El Celso", operator of Omar Trevino Morales "El Z-42", to acquire weapons on the frontier of Coahuila. 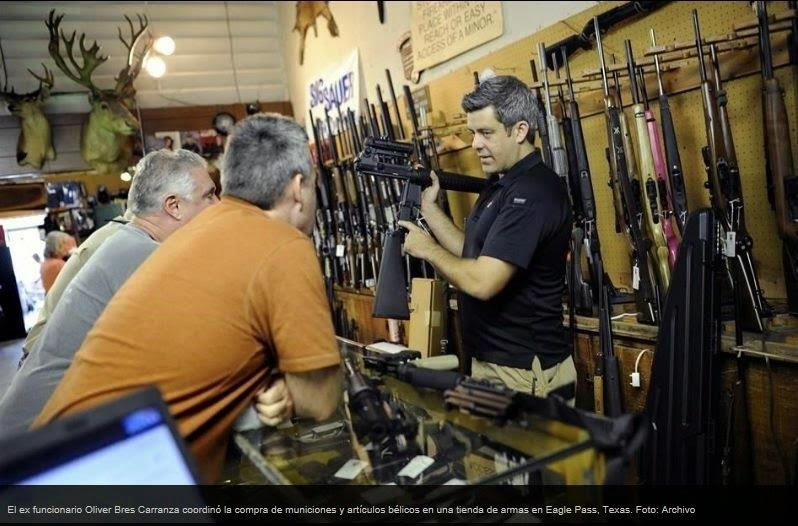 The investigation indicates that the former official was mainly an accomplice of Erik Alan Garza, a Texan of 28 years old, who used the home of his mother in an Eagle Pass Mall to collect weapons and send them to Mexico. The government of Mexico plans to rally support from death penalty opponents to dissuade Malaysia from executing three Mexican brothers convicted on drug charges. Mexico “will turn to various local and international groups opposed to the death penalty,” the foreign ministry said in a statement. Malaysia’s Federal Court on Thursday upheld the death sentences imposed on Luis Alfonso, Simon and Jose Regino Gonzalez Villarreal. 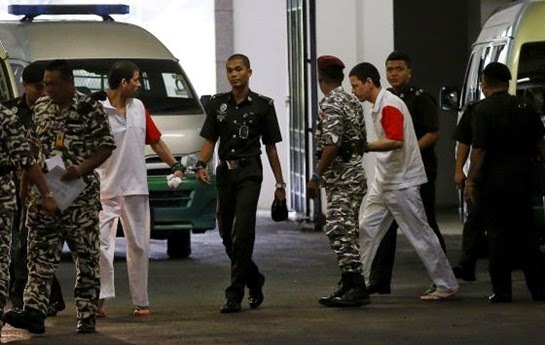 The three men heard the court’s decision accompanied by relatives and Mexico’s ambassador to Malaysia, Carlos Felix. “We are in the final part of the judicial process. Today was a very serious setback,” Felix told Mexico City’s Radio Formula, adding that the defence team was considering filing a request for reconsideration by the Federal Court. Once legal remedies are exhausted, the men’s only hope of avoiding the noose would be a royal pardon. The Attorney General's Office reported that the Criminal Investigation Agency confiscated said more than 151 kilos of methamphetamine in the port of Manzanillo, Colima. During an inspection of a container of metal parts, they found 145 kilos (330 lbs) of the synthetic drug embedded within the parts. The shipment was to being sent to the Philippines. 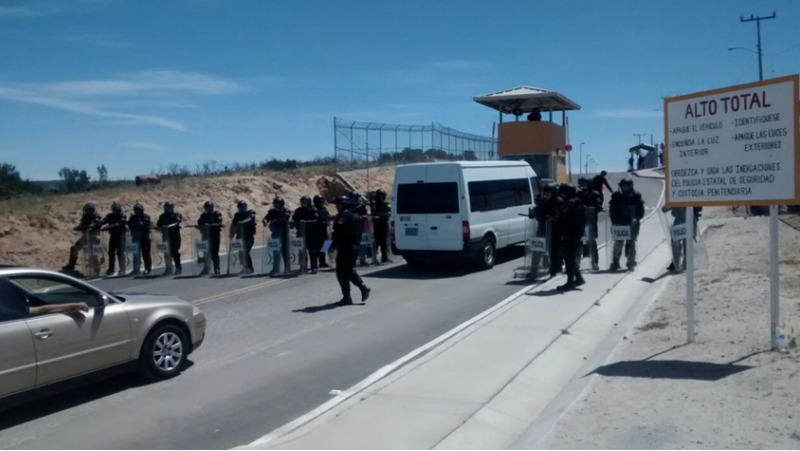 Dozens of Mexicans are in the view of the United States Authorities in order to be extradited: at least 50 have promoted Amparo's to prevent their delivery to American justice. Through trials of Guarantees, the most well known traffickers, some detained and some still fugitive, have expressed their fear of being abused or even sentenced to capital punishment. In many of the cases, the United States has not formalized a request of extradition for the Mexicans. 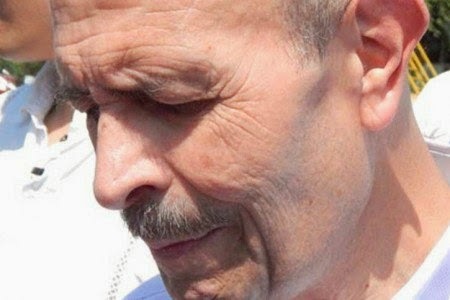 The Supreme Court of National Justice, is entering the study of the order of extradition against Rafael Caro Quintero. From common criminals, mainly murderers and sexual abusers, leaders of criminal cells or the best known drug cartels capos, they top the list of extraditable Mexicans to the United States. The exact amount of those who have been claimed for extradition by the United States is not known, but by each criminal organization they referred to dozens of hitmen, under bosses and capos. Dr. José Manuel Mireles and three of his bodyguards will remain in jail until an appeal filed by the Federal Public Prosecutor’s Office assigned to the First Unitary Court of Morelia is resolved against the amparo that was granted three weeks ago. The new legal process could take up to four months, despite the fact that during this week they were going to sentence Mireles and his three bodyguards either to trial or prison. The appeal was integrated into the original trial record of guarantees and will be forwarded to the presiding judge of the Collegiate Tribunal in Criminal Matters in Michoacán. It is worth noting that on March 31, the First Unitarian Court of the 11th Circuit granted this verdict to José Manuel Mireles Valverde, Javier Reyes Magaña, Gerardo López Casillas and Salvador Mendoza García for the violation of their fundamental rights at trial. 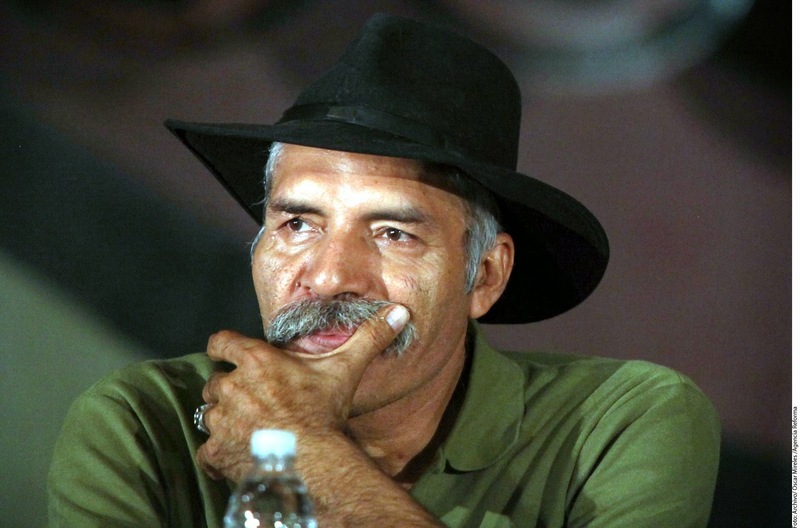 José Manuel Mireles and three of his bodyguards were arrested last June 27, accused of carrying restricted weapons for the exclusive use of the Mexican Army and for crimes against public health. 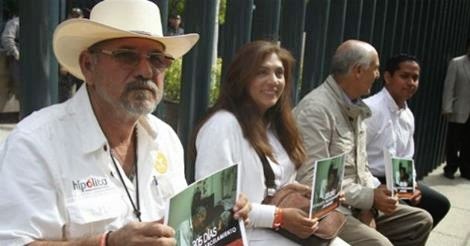 Mireles is currently imprisoned in Hermosillo, Sonora and his bodyguards in Tepic, Nayarit.